The more I've been hearing about the stimulus package that President Obama has been pushing these past few weeks, the less I've liked about it. It seems to be full of all sorts of unnecessary spending, and a good deal of it not even targeted in ways that could actually help. Now, according to a report by Rasmussen, a majority of voters are opposing the plan as well. The more details get out, the less people like it. Support for the economic recovery plan working its way through Congress has fallen again this week. For the first time, a plurality of voters nationwide oppose the $800-billion-plus plan. The latest Rasmussen Reports national telephone survey found that 37% favor the legislation, 43% are opposed, and 20% are not sure. Two weeks ago, 45% supported the plan. Last week, 42% supported it. Opposition has grown from 34% two weeks ago to 39% last week and 43% today. Sixty-four percent (64%) of Democrats still support the plan. That figure is down from 74% a week ago. Just 13% of Republicans and 27% of those not affiliated with either major party agree. Seventy-two percent (72%) of Republicans oppose the plan along with 50% of unaffiliated voters and 16% of Democrats. I am one of those people who think that the stimulus plan as it is proposed right now could actually do more harm than good. The support for the bill has dropped compared to a week or two ago. The reason? People are realizing how the bill really won't do much for the current economic crisis. The Congressional Budget Office has looked at the bill and found that a majority of the stimulus spending. 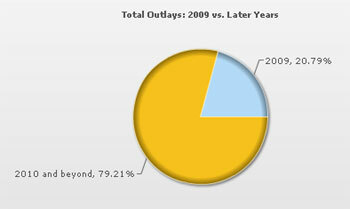 the CBO estimates that less than 21% of the funds would be spent in 2009. Apparently, it is a huge crisis which requires swift action (and no time to read bill text) to pass a massive spending bill — but there seems to be no hurry at all to get the money into the American economy anytime soon. What do you think of the current stimulus bill? Would you be in favor of passing it? Or do you think we should scrap it and start again? I agree. Scrap it and start again with more emphasis on job creation, and some tax incentives (not outright cuts), and less pork. I am really against it. Even though they claim there are no earmarks in the proposed plan I feel it is full of them. The money will just line the pockets of a few elites and leave everyone else to foot the bill….especially our children. My husband actually works for the federal debt so I know his job is secure, but even if it wasn’t I would not feel this is the direction we should go. Google the senators in your state, email them and let them no you are pushing for a “no”. It only takes a few minutes to fire off an email. The more they get perhaps the more they will listen to us little people. I agree, seems like they are taking the mentality you need to spend money to make money a little bit too far. Seems unnecessary and a waste of money that will put the country in even more debt. I’m against it too…the first one was a waste and no one seems to know where that money went! So now President Obama wants to repeat that mistake?? Now whose being stupid! Unfortunately, it doesn’t seem to matter what the country wants, we are going to get what the politicians want us to have. I really hope the people who oppose the bill will check to see how their Senator/Congressman vote and then decide if that votes represent the ideals they support. I can tell you now that I won’t be voting for either of my two senators. 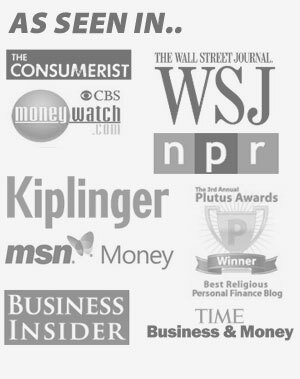 Next Post: Please Vote For Me In Free Money Finance March Madness!